Since 2016, the misdemeanor population has been cut in half. But this year brings new challenges, reducing the felony population. TUCSON, Ariz. - Pima County officials are looking at options beyond jail. Terrance Cheung, director of Justice Reform Initiatives, says it starts with changing the way law enforcement and the judicial system looks at incarceration. "What we do know, is that spending even one day in jail, if you are a nonviolent offender, really can have more devastating impacts on your moving forward," Cheung said. Work began nearly three years ago with a grant from the John D. and Catherine T. MacArthur Foundation Safety and Justice Challenge. The Pima County Adult Detention Center was averaging 2,100 inmates a day. Many of them were jailed for nonviolent misdemeanor offenses, like drug possession, shoplifting, and failure to appear in court. Cheung says treatment is a better solution than jail for those with drug charges. "It's still against the law. But if you're in jail, and not getting treatment, then does that really benefit somebody for staying in jail?" Cheung said. By finding other options like housing or treatment, Cheung says reducing the misdemeanor population has been successful. The average jail population is between 1,800 and 1,900 inmates daily. But now they're noticing felonies have gone up. This year, the county made a second application for the Safety and Justice Challenge grant to continue the work. Cheung says it's about making sure the right people find alternatives, not violent offenders. "It's really the nonviolent offenders," Cheung said. "Should they be released to go back into the community to stay with their family? But still pay restitution in some way." 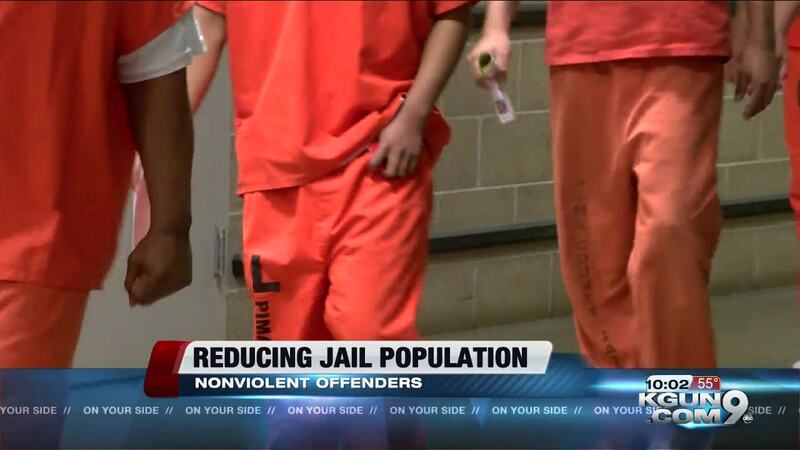 The goal is to reduce the jail population even further by 2021 to 1,574 daily inmates. That's enough to save taxpayers an estimated $2 million per year.